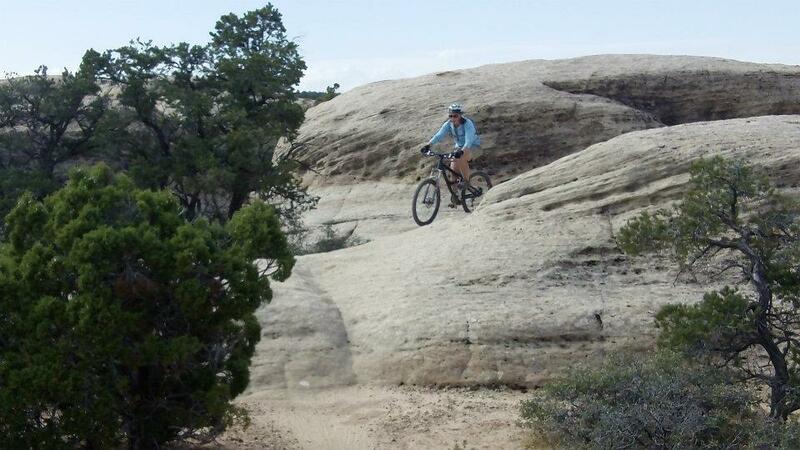 Biking in southern Utah is diverse due to its popularity with tourists and locals alike. St. George City offers over 30 miles of paved trails that are perfect for familiarizing yourself with the city as well as the environment. Many of these trails allow you to explore nearby towns and communities, as well; Ivins, Washington, and Santa Clara have roadside trails or biking lanes available for use throughout the year. Most of these trails have exceptional views of lava fields, river beds, and the red rocks surrounding the area. Paved trails of note include the Virgin River Trail, an 8.2 mile trail that runs along the Virgin River, and Hilton Drive Trail, which connects to the Virgin River Trail and briefly parallels I-15. One of the most popular mountain bike trails in southern Utah is Gooseberry Mesa, which is located just outside of Zion National Park. This trail is incredibly popular due to the fact that mountain biking is prohibited on many of Zion's trails, so Gooseberry allows bikers to enjoy much of the same scenery as those within the park. Bikers also appreciate the slick rock terrain and technical challenges of the mesa, although these details don't mean it's an experts-only ride; mountain bikers of all skill levels are easily accommodated on this trail. 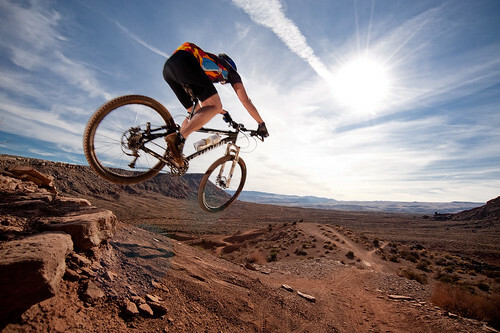 Other notable mountain biking trails include Green Valley Loop (which is accessed from Green Valley Spa Resort, and includes a variety of motocross-style terrain such as dips and overhangs), Bearclaw Poppy (an easier technical ride with walkability in the more advanced areas), and Anasazi Trail (which runs along a cliff ledge and contains many side trails). In addition to the scenery you might observe driving along city roads and local highways, there are several places near St. George that are ideal for the excitement of motorcycle and dirtbike rides. Located south of Washington City, Warner Valley contains trails, sand dunes, and a lot of open space for exploration, as well as one trail that leads riders to the back side of Sand Hollow Reservoir. There are also trails off of I-15's Black Rock Exit (exit number 27), which can be accessed by taking I-15 south from St. George. 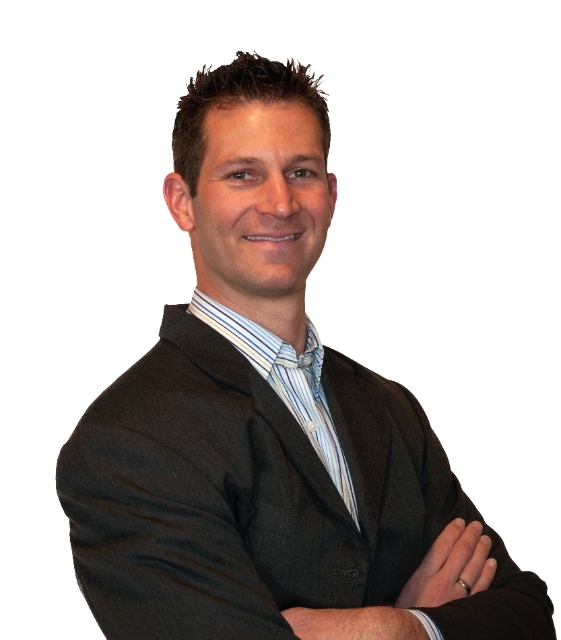 Additionally, non-paved areas south of Navajo Drive in Bloomington are available for motorcycle and dirtbike rides.